You never thought it would get here; the end of the school year has finally arrived! You have survived. The most important thing about the end of the school year is how you finish it. You have had your struggles along the way, but as you look at the social, emotional, and academic gains that your students have achieved throughout the year has made it all worth it. Now is the time to end the school year on a positive note. Make connections with the people you have been around the entire school year- your students and your colleagues. The excitement and energy that you can see on your students’ and colleagues’ faces at this time of year is contagious. Everyone is excited for the end of the year. It is time to finish what you started- end strong! As you wrap up the last week with your students, it is important to solidify those connections you made with them throughout the course of the year. These students have worked hard for you and are excited to move on to the next grade level. The most important thing that you can do for them is to show them you care and that you are genuinely happy for their successes. 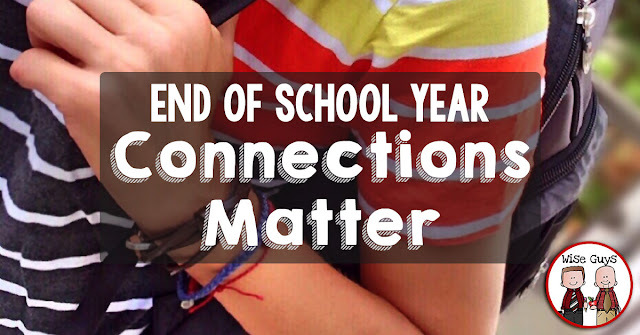 Whether it be an end of the year field trip, a track and field day, a movie celebration, or a game day- give your students one last opportunity for your students to connect with each other and for you to connect with your students. On this day, show them the “fun” side of you. Interact with them, laugh with them, and show them that they will be missed. They will remember that about you and that is important. If you have time, write a short note to each of your students about what you will never forget about them. We have had students come back to us two, three, even five years later saying that those notes had an impact on them. These notes can also be something special that you keep in a personal file or even frame at home for inspiration. You do make a huge impact on your students' lives! 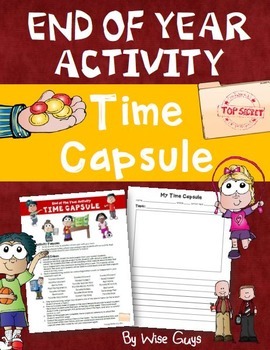 One fun activity that we do is create a time capsule with our students at the end of the year. They love to share memories of what happened during their time with you. You can download it for FREE by clicking here. The connections you have made with your colleagues went a long way in helping you get through the school year. Do not forget them over the summer even if you don’t re-connect with colleagues. 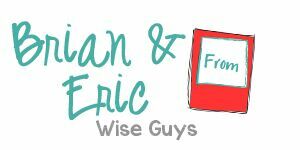 They will be invaluable to you again next year as a support system! Something we try to do every year is just writing a simple note letting our colleagues know how much we appreciate them. It doesn't always have to be gift cards or chocolate, the written word goes a long way in showing a co-worker how much you appreciate them. Give it a try this year! We love teaching and want others to rekindle and continue to have that same feeling that we do when we walk into our buildings each day. Teaching is a profession that doesn’t pay as much as many other jobs, but the reward is in the students and their achievements. Seeing light bulbs go off and smiles on faces, are some of the best rewards a teacher can ever get. We thank you for your dedication to your students and the countless minutes, days and hours you pour into your job. You teach because you care, and that should never be forgotten. Remember to rely on colleagues for support and always remember that the children you see on a daily basis are why you teach. Pin from our Pinterest Page!